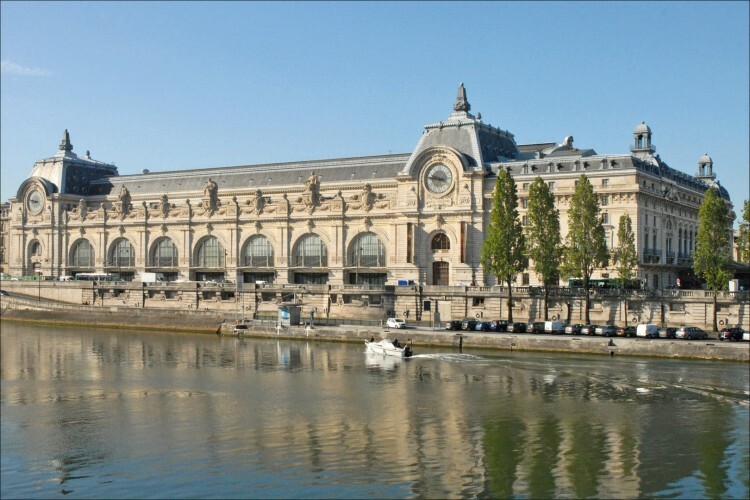 Orsay museum is housed in the former Orsay train station, an impressive Beaux-Arts railway station built between at the end of the XIXth century. The museum holds mainly French art dating from 1848 to 1915, including paintings, sculptures, furniture, and photography and principaly an extensive collection of impressionist masterpieces by such painters such as Van Gogh, Monet, Gauguin, Manet, Degas, Renoir, Cézanne. The impressionists used light colors and now all of them are famous for having departed from the tradition of painting "reality". The most populare masterpieces are : The Luncheon on the Grass and Olympia by Manet, Courbet's Origin of the World, the dancer of Degas and a serie of Monet. There are thus 23 paintings of Paul Gauguin and Van Gogh. There is now a space entirely devoted to Van Gogh in which you can find his famous Sunflowers, The Church at Auvers sur Oise or self-portraits of the famous painter. From hotel Louvre Marsollier take the bus 68 at Pyramides to Osay Musuem in 10 minutes.